Mabel has a strong background and training in community engagement, social initiatives and qualitative research through her work with the American Red Cross and several research organizations. Her focus areas include reproductive and child health, water, sanitation and hygiene and gender related issues. She is one of the visionary behind CSR Connext, leading the efforts to mobilize corporate resources for impactful social initiatives. She holds a Post Graduate Diploma in Corporate Social Responsibilty from Faculty of Social Work, MSU, Vadodara and a bachelor’s degree in English Literature from St. Xaviers’ College, Ahmedabad. 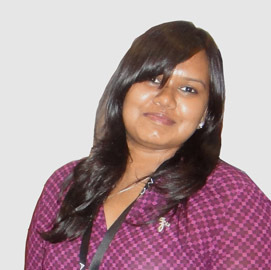 Mayuri has a rich experience in the field of marketing, brand building and visual merchandising along with working knowledge of International Psychometrics Assessment. 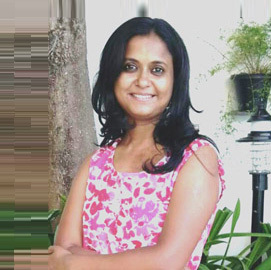 She has worked with international brands like AVON beauty products and FMCG retail giant Avenue Super Mart with marketing, branding and channel sales being her core work area. Her keenness to make CSR intervention sustainable and impactful attracted her towards Corporate Social Responsibility’s innovative approach. One of the visionary behind CSR Connext, a desire to be an active participant in bringing about social change has drawn her to the idea of becoming a bridge between CSR stakeholders and carry out sustainable intervention for betterment of society. She has a Post Graduate Diploma in Corporate Social Responsibility from Faculty of Social Work, MSU, Marketing Management and a bachelor’s degree in Commerce from Maharaja Sayaji Rao University of Baroda, Vadodara. She is also a Certified Extended DISC CEDA Professional.